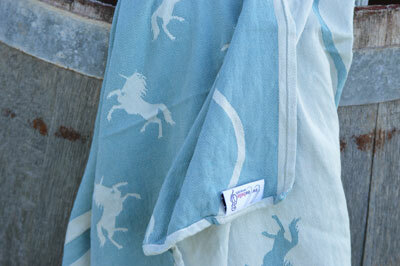 Unicorns is made exclusively for Lewlewbelle in Australia. 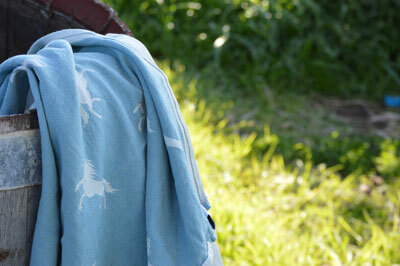 After a gentle wash the 100% cotton softens up nicely. 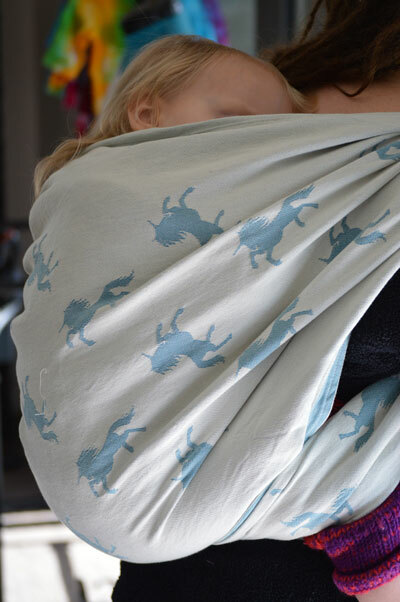 Soft enough for use with a newborn and supportive enough for your toddler. **NB - Seconds wraps are wraps with cosmetic weaving flaws. 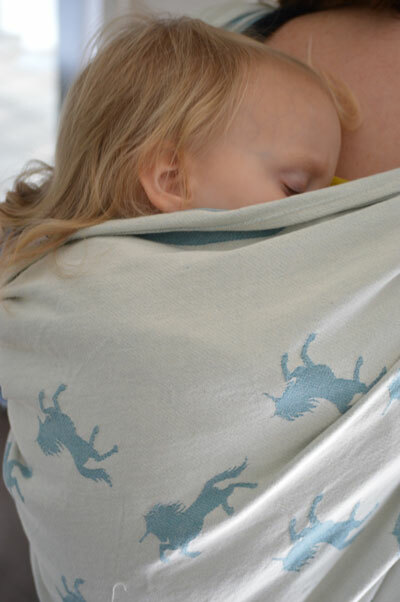 They are cosmetic only, in that it does not affect the integrity of the wrap and is perfectly safe to carry your baby. These are sold at a discount to reflect the flaw.